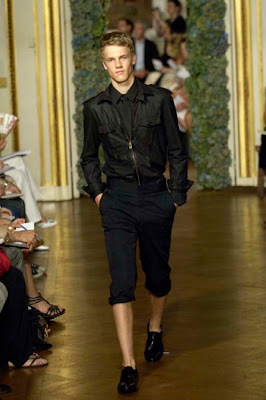 Just in case you haven’t started shopping for your spring and summer clothes here is the Lanvin men Spring/summer 2007 to inspire and give you and idea. I love the dressy with a touch of kookiness on the styling. I like rounded shoulders of the jacket, match with the geeky flood pants and top with an Engineer cap. 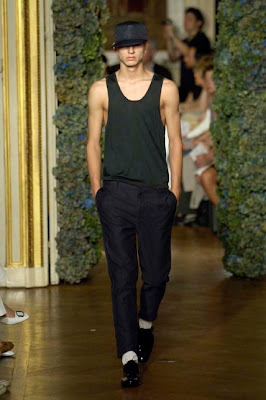 The look is little too young for me, but I think I can you alter it to suit my body type. But definitely I would use the look to one of the models for the next photo shoot.